As a full-service fabricator and a reputed importer, ICON is a rare breed in the stone and tile industry. Through our well-established independent network of international quarriers in Brazil, Italy, India, Turkey, Spain and elsewhere, we give you access to a distinctive array of exclusive and rare materials in all the latest designer patterns and colors. ICON STONE + TILE Design Center and manufacturing facility, located in Calgary, AB provides exquisite product lines to many top interior designers, architects, home builders and retail customers; furnishing high-end homes, top businesses, and other renowned commercial projects. ICON provides you with a one-stop-shopping experience for all of your natural stone, tile, faucet, sink needs. Shane Homes is a new home builder established in 1979 and building single family homes in Calgary, Alberta, Canada and Airdrie. WINNER! 2016 SAM AWARDS for Renovator's Choice! Finalist for 9 NHBA (national) Awards in the categories of kitchen, bathroom, new build, and whole house! (Stay tuned for awards announced later this month.) At Kon-strux we combine traditional, high-quality craftsmanship with the best of modern design techniques to give you maximum results for your investment. As custom home builders and experts in home renovation in Calgary, Alberta, our full-service team offers a complete array of design and build services. Kon-strux can handle all phases of the project from start to finish with aplomb. Create the new build or reno of your dreams with us! VisionScapes is a Calgary-based team of fiercely talented individuals with a passion for creating and constructing beautiful and liveable spaces outside. We fuse the art of landscape design and construction with the seamlessness of our landscaping process. VisionScapes creates truly distinctive, perfectly original outdoor living spaces for Western Canada's most discriminating clients and businesses. Our team of experts will take your dream landscape design and make it a reality. Our landscape design talent lies in our ability to blend the surrounding environment with the architectural style of the home. We seek to create spaces that invoke a feeling of relaxation and well-being as well as reflect our clients unique personalities. "We Specialize in New Home, In-fills, Renovations and Commercial projects." We specialize in all Residential/commercial design and drafting specified for development & building permits! Based out of Calgary, Alberta; offering a full spectrum of design and drafting services including residential, commercial, cabinet design and renovation projects. Our Company has established a high standard of technical drawings in the disciplines of renovation and new homes using AutoCAD and Revit Architecture. Please contact us if you are planning a project of any size. It all begins with the Design!. Nathan Bancroft Painting provides quality exterior and interior painting services for residential homes at a competitive price in the marketplace. We have been operating in Southwest Calgary for five years. We strongly believe in delivering excellent customer service by completing projects in a timely manner and providing constant communication throughout the project process leading to guaranteed satisfaction with each and every paint job. Our team consists of post-secondary students that work during the summer months to fund their education. All team members receive extensive training to ensure they have mastered the required skill set. Our product provider is Dulux, one of the largest paint suppliers in the world, which delivers exception results. Our franchisor University First Class Painters is nationwide and has been operating since 1982. LD&A specializes in residential renovations and enriching lives through environments. Our goal is to make the renovation process as easy as possible by resourcing and managing the entire project from conception, through construction, to final completion. As a vital member of the LD&A team, you will work closely with your designer, project manager and site supervisor to ensure the project's success. From design development and space planning, to constructing and installing your dream kitchen, and finishing off the home with custom made furniture and window coverings, LD&A does it all. 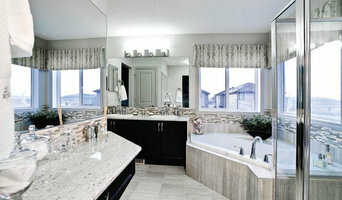 Trickle Creek Designer Homes is a new generation of Calgary home builders. We are dedicated to your needs and we will work with you to plan, design and construct your dream home with high quality materials and exemplary workmanship. We build each and every custom home with purpose in mind which means we take into account many factors such as energy efficiency that not only help our environment but also keep your ongoing costs down for years to come! What separates Corefront is our need and desire to ensure customer satisfaction. This is the purpose and common thread throughout every aspect of our business. It’s built around you; our very valuable customer. Your home is the most important space to you, we respect that. Your renovation or new build needs are individually based, certainly not cookie cutter. Services you deserve are formed around specifics needs to make your project a success. Every detail seen in our process from design to construction has been engineered for your delight. Corefront is about you and your project. The “why” is in our name.. quality to the core with our customer front and center. Ana Cummings, of ANA Interiors is the only IDRC and DDA multiple national award-winning show home designer in the province of Alberta. She is the Design Expert on CTV's Homes and Lifestyles Canada. Her work is internationally published and her studio offers full service interior design and decorating that specializes in original unable-to-leave spaces. Ana is also a Certified Aging In Place Specialist (CAPS) and works with clients in and outside of Canada. Ana is an expert in motorized window coverings, condos, estate homes and hotel spaces. Niche use rooms such as spa baths, kitchens, yoga & exercise, bedrooms, craft & laundry rooms, integrating different styles, incorporating existing client furnishings, translating client visions into realities, and consistently delivering projects on time and budget are her strong suits. She is a master at statement walls, from custom wall-coverings and specialty finishes to commissioned artworks and galleries. From the simplest colour consultation to the grandest home or commercial redesign, Ana solves her client design challenges with unique, creative, stylish, budget and earth-friendly solutions. For over 10 years, Ana has designed and meticulously staged model homes for high profile Calgary developments; busy professionals on the move; and empty nesters wanting to update their home for increased resale value or because they want to stay there forever. Her best clients are those that embrace possibility, appreciate one-of-a-kind design, and make use of her vast network of superior trades and Canadian vendors. Ana commits to continuous learning, design conferences, identifying trends and showcasing the latest in home design. Ana is a graduate of Mount Royal University, a member of the Calgary Design Group (CDG), Interior Décor Resources Canada (IDRC), and President of the Decorators and Designers Association of Canada, Alberta Chapter (DDA). Her work can be found in Avenue Magazine, the Calgary Herald, Calgary Renovations Magazine, Calgary Condo Guide, Condo Living, Next Home Magazine, Alaska Airlines Magazine, Houzz editorials worldwide, has appeared on Breakfast TV, and is the Design Expert on the CTV television show “Homes and Lifestyles Canada”. Her design mantra was quoted in Architectural Digest's roundtable which is inspired interiors indubitably involve ingenious imitations of inspired interiors. A fusion of modern design and exceptional craftsmanship. Urban Abode serves the Calgary area in all aspects of home renovations. Whether its custom kitchens, full basement developments or whole home renovations and additions, we bring our unmatched 3D design service, fashion forward aesthetic, and old-school craftsmanship to each of our projects. In addition, Brad McCallum, the owner and lead designer works with clients buying, selling and investing in Calgary homes as a licensed Realtor with RE/MAX First Calgary. This deep knowledge of construction and home design helps clients find value with him as their representative that other agents just can not provide. If you're thinking of selling or buying, call Brad McCallum first at 403.862.4646 and receive a higher level of service. Alykhan Velji and his team have been creating beautiful spaces for over 10 years, specializing in both residential and commercial projects. By incorporating both modern and classic trends, Alykhan Velji Designs creates looks that are original and timeless, with a strong emphasis on putting the clients’ aesthetics first because the best interior design is personalized for those who will use it. Kurmak Builders is an award-winning, established home builder and renovator in Calgary. As a family-owned company, we stand by our set of core values that are paramount in every project that we do, - Accountability to our customers - Honesty & Integrity - Delivering the promises that we make to our customers - Communicating with our customers every step of the way - Respect for our customers and their home With over 20 years experience in the Calgary Home Building & Renovation industry, Kurmak Builders can help you create and build the space of your dreams. Big or small, we can produce a variety of project types. 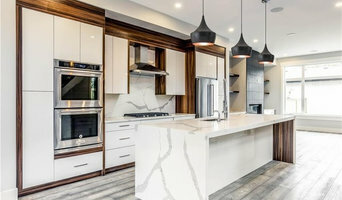 With innovative ideas and advanced building techniques, Kurmak Builders can design and build custom homes, renovations, additions, kitchen and bathroom renovations in Calgary. With Kurmak Builders, you can trust our proven credentials and outstanding team members to handle your project with integrity and professionalism and to produce a high-quality space that is second to none. Call us for your complimentary in home consultation and let us help make your dream home a reality. Reach out to multiple professionals — especially for larger projects — and don't settle for the first quote you receive. Comparing multiple Calgary, AB professionals' quotes and experiences can help you find the one that’s best for you. Ask a lot of questions now, so you won't have unexpected answers later. Find a home design professional on Houzz. Narrow down your search by type of professional and location. 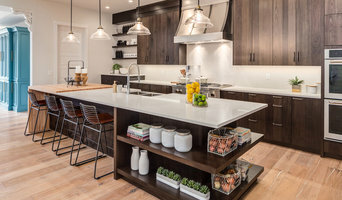 Browse Calgary, AB portfolio photos, read client reviews and contact each home improvement professional for more information. Check out the information in the specialised professional sections too for tips on how to hire the right professional for your project.